A litre of petrol costs Rs 69.04 a litre in Delhi, the highest since second-half of August 2014 when it was priced at Rs 70.33. 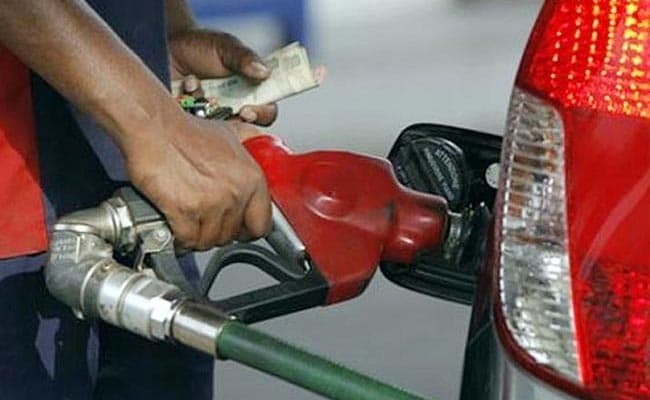 New Delhi: Petrol price has been hiked by Rs 6 per litre since the beginning of July and is now priced at its highest rate in three years with rates being revised in small dosages daily. Diesel price has increased by Rs 3.67 a litre and now costs Rs 57.03 a litre in Delhi, the highest in four months, according to data from state-owned oil companies. State-owned oil companies in June dumped the 15-year old practice of revising rates on 1st and 16th of every month and instead adopted a dynamic daily price revision to instantaneously reflect changes in cost. Prices of petrol and diesel have been revised at 0600 hrs everyday since June 16. Rates during the first fortnight dropped but have since July 3 been on the rise. Petrol price was at Rs 65.48 a litre on June 16 in Delhi and it dropped to Rs 63.06 by July 2. However, rates have since gone up every day except on four occasions when prices were cut by 2-9 paise per litre. Similarly, a litre of diesel was priced at Rs 54.49 on June 16 and it dropped to Rs 53.36 on July 2, thanks to the softening international oil prices. Since then, it has been on an upswing though the reduction in diesel rates have been on a larger number of occasions than petrol. "Previously, everybody felt the pinch when rates would go up by Rs 2 or 3 per litre in one go. Now they are being increased by 1 paisa to 15 paise a litre everyday, hikes that have largely gone unnoticed," a senior oil company executive said. The daily price revision means an instantaneous transfer of a rise or decline in international oil price to the consumer instead of the previous practice of passing it on only after a fortnight. The previous practice of revision in the rate on 1st and 16th of every month, which began with deregulation of auto fuel on April 1, 2002, was based on average international oil price and foreign exchange rate in the preceding fortnight. "Many a time, international rates would fall for one week and then rise in the following. So, the net effect of this in the previous price revision policy was status quo or a marginal change in rate," he said. Petrol and diesel prices were deregulated or freed from government control from April 1, 2002, and the fortnightly revision in rates kicked in. The deregulation derailed a bit when international oil prices started to climb after 2004. Fortnightly revision continued but the revision was not completely in sync with the required price increase. Petrol price was finally freed in June 2010 and diesel in October 2014 after small fortnightly increases over the past several months brought rates at par with the cost. The daily price revision was implemented after a successful pilot in five cities. The official said daily price change will remove the big leaps in rates that need to be effected at the end of the fortnight, making the consumer more aligned to market dynamics. The three state-owned fuel retailers had implemented a daily revision of retail selling price (RSP) of petrol and diesel on a pilot basis in Udaipur in Rajasthan, Jamshedpur in Jharkhand, Puducherry, Chandigarh, and Visakhapatnam in Andhra Pradesh from May 1.